Among the most emblematic historical monuments of Galicia we cannot overlook the Basilica of San Martiño de Mondoñedo, in Foz. 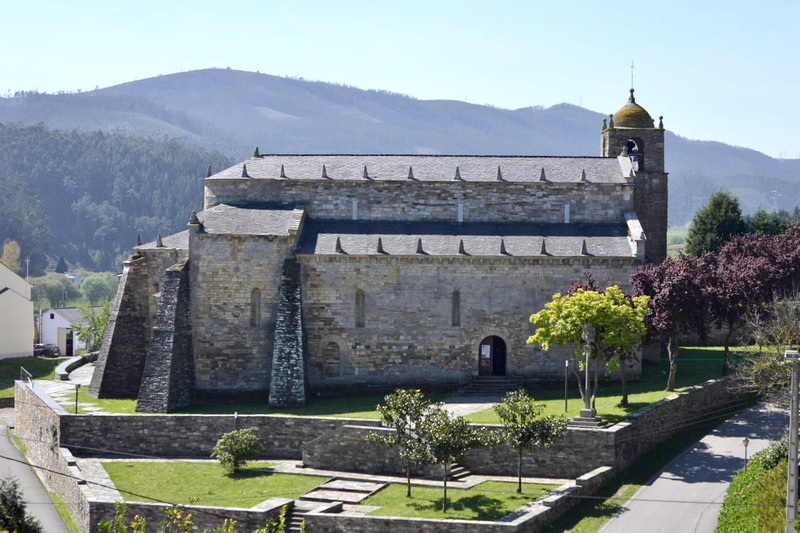 It is a church built between the eleventh and twelfth centuries on an ancient pre-Romanesque temple of the tenth century, formerly episcopal seat of the Mondoñedo diocese. A detail to emphasize of this National Monument is that in addition it is considered by some the oldest church of Spain. The important thing is that San Martiño de Mondoñedo is a building with an incalculable historical and artistic value for the Galician heritage. Made of slate masonry and granite stone covered by a slate roof, it also has a basilical floor plan with three naves with transept, three semicircular apses and a rector’s house stuck to the right side. Not to mention its spectacular facade with a semicircular arch door with two archivolts and four columns, a jewel! There is no doubt that this is one of the most interesting constructions in Galicia, not only because of the history with which it is identified but also because of the architectural, sculptural and pictorial richness of its walls. As for the sculptural legacy, San Martiño stands out for its capitals. Different styles fill this space with masterpieces with vegetable, biblical, and much more themes. In addition, the basilica also preserves a collection of original mural paintings from the 12th century and the sepulchre of St. Gonzalo, the driving force behind the church and to whom tradition attributed a series of miracles that are still remembered in the area today. Also worth remembering is its collection of corbels, those parts of the beam that protrude from the outside of the facade and support the cornice. Interesting adornments for the cornices of the basilica, among which you can see human and animal masks, as well as characters in various attitudes. Like everything else, there is no better way to get to know the details of this Asset of Community Interest than by seeing in person the details discussed here. At a distance of less than five kilometres from the town centre of Foz, there is an architectural marvel with free entrance for anyone who wants to see it up close, you only have to take into account the opening hours for visits. In short, an inheritance left to us by our ancestors that must be cared for, preserved, valued and finally enhanced to attract all those tourists who love history.